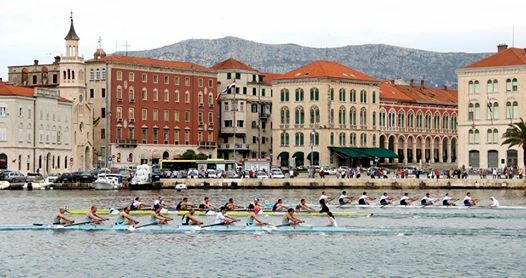 International rowing regatta Sveti Duje is an event featuring eights from Croatian and international universities. The regatta has traditionally been taking place on St Domnius Day. The International Rowing Regatta Sv. Duje 2014 will take place in Split on May 4, and it will be quite a show of sporting prowess. Last year there were no less than 12 Olmpic medal winners in three boats. University Eights Races take place at the 1000m long racing course in Spinut, with an increasing number of participating teams every year. The increase culminated in the past four years due to the participation of the best known names in university rowing, the Oxford and Cambridge Blue Boats. Legends Race takes place in the city harbour on a 220m long course, whereby the legends of Split are competing against the legends of Oxford and Cambridge – the alumni that have rowed in the legendary Boat Race on river Thames in the past 10 years and that have won the brightest Olympic and World Championships medals.